We have a statement from KriArj in response to the stories being published and circulated about the film Parmanu. “This is in response to the various articles being circulated by JA Entertainment claiming that criminal cases have been filed against Ms Prerna Arora of KriArj Entertainment. 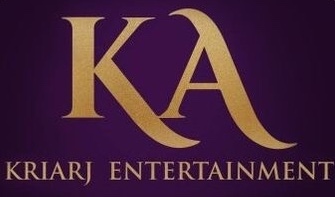 As also clarified by us at numerous times in the past we hereby re-confirm that the allegations made by JA Entertainment are false and frivolous and that it is infact JA Entertainment who is guilty of various breaches of our understanding with them including infringement of copyright and cheating/fraud which is the sole basis for our filing multiple criminal complaints and the copyright infringement suit against JA Entertainment before the Hon’ble Bombay High Court which is due to be listed for hearing on Monday. “In addition to our earlier criminal complaint a fresh criminal complaint was also filed yesterday by KriArj against JA Entertainment and Mr John Abraham for piracy/leakage of Film materials including the poster and teaser of the Film as owned by KriArj Entertainment. “As per our knowledge no case has been registered against Prerna Arora or any members of team KriArj by the Khar Police Station and it is apparent that the attempts made by JA Entertainment are nothing but an immature counterblast and an afterthought against KriArj to defame and mentally harass them and to sabotage the release and distribution of the Film by KriArj inspite of being fully aware of KriArj’s rights in the Film as Co producers, joint owners and exclusive right holders. 16 queries in 1.133 seconds.